Coupon B-FG5 is a powerful coupon to get you started on your way to destroying bad breath. We all know that this problem can affect both personal and business relationships. We have all encountered someone at the office, at school or in a professional setting that suffers from this problem. We know how we react to that. So it is important that we are able to avoid that for ourselves. The perception of others about us does have some impact on our lives. AktivOxigen is a concentrated solution that comes in d dropper bottle. You should mix it with water or fruit juice. You can also add it to your Hydro Floss (just 8 drops). Oxygen is the bane of anearobic bacteria. Those are the ones who cause us dental health problems like bad breath, gum disease and cavities. Their acid byproducts (waste) are the problem. Turns out, these ‘bad bacteria’ do not like oxygen. Therefore, oxygen turns out to be our friend. Obviously, we need it to breath. But many alternative health care people really believe in the power of oxygen. A home ozone generator is another source of oxygen. One bottle of this potent AktivOxigen serum can make about 60 doses of mouthwash for you – just follow the instructions that come with it. It is vegan approved and has NOT been tested on animals. Aktiv-Oxigen is also Kosher certified. 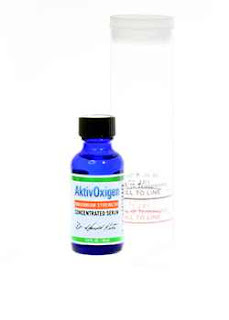 Aktiv-Oxigen is a CL02 – no flavor added. Use only about 8 drops to make a mouthrinse or for use in your Hydro Floss. It is also available in 3 Pak form. I once had a customer tell me he obtained great results from this for a difficult dental health problem he was facing. I won’t go into details about his private information. But, I mention it to let you know that people do believe it has been greatly beneficial to them. I think it is a valuable resource for those who are looking for some answers. You see, many of the bad breath products today have the potential to make things worse. Moreover, they do not attack the root of the problem. When you are just trading one odor for another, you can’t really say that is a solution! Maybe it makes things a little better. However, a better solution involves the kind of things that will attack and reduce the population of the ‘bad’ bacteria. So, this resource is free (email address required). It doesn’t cost any money however. The information you find, might just be what you really need. Relief from the complications of your personal and professional relationships should be a great benefit for you. You can get this guide here. I recently posted a tip from one of my customers about travelling with the Hydro Floss. You see, most people do not want to be without their hydrofloss even for a few days. Therefore, a good tip is in order for travel. Here is my take on why I think not all mouthwash is created equal. 1. Some have a lot of alcohol in them – alcohol dries the mucous membranes of the mouth and can actually have the opposite effect than that intended. 2. Some mouthwash just tries to cover the smell — But when that smell is like medicine, is that really a good idea? 3. Too acidic. some mouthwash is just to far on the acid side of the scale. That’s not good for your tooth enamel. But the ‘bad bacteria’ sure like it! 1. the good stuff lacks harsh chemicals. It doesn’t smell bad and it doesn’t make your mouth sore if you keep it in their for more than 20 seconds! 2. pH balance. the opposite of acidic. The bacteria don’t like a higher pH but it sure makes it easier for your saliva to strengthen the tooth enamel – Double win! 3. Oxygenated: Oxygen stops bad bacteria. It messes up their metabolic process and makes it hard for them to either live or secrete acidic waste products! Money Saving Bad Breath Bonus Pak – Combines the savings of bulk purchasing + a coupon! There is nothing like the good feeling that comes from knowing your breath is fresh, except knowing that you saved a lot of cash to make it happen! Oxygenated, pH balanced products are the answer to attacking the problem, rather than just masking symptoms. The bacteria shun oxygen and they like an acidic pH. Give them a little oxygen, and give them a higher pH and they become very unhappy. On the other hand, your breath becomes happier. That could translate into getting more out of life, like a new relationship or perhaps a higher position at work. On the other hand, bad breath could be holding you back. Erase the negative and go with the positive. Better relationships, personal and business – how much of a difference could that make in your life? In combination with the money saving power of buying in bulk, you can: 1. Take an Addition 10% off, get free shipping, get free mouthwash and free toothpaste – both with the oxygenating power and the pH balance. The coupon code is a-fg10 and you can use it for any order over $100 on this site. Of course, if you want to purchase less than $100 worth of product, you can get more coupons right here! PS: coupon a-fg10 and b-fg5 work for smaller purchases! PPS: one of the best dental hygiene tools I know of. Bad breath affects both our professional and personal relationships. It can be harder to form and keep relationships, as well as making business deals or even networking and forming contacts. This is a problem that most of us have a desire to overcome. You can also find the really good therabreath coupons here. See a list of the good coupons here. December Discounts Are Good From December 5th 2012 to December 31st 2012. The December Discount sale on these quality bad breath products is available here. Again, the sale is on until December 31st, 2012, so go ahead and click the image to the right to start saving! Most of us love discounts and a good deal. So, if you happen to visit this page AFTER December 2012, the coupons on this page are valid 24X7. You can save them or share them with friends. Perhaps they will love you all the more for helping them find a good deal? Of course, anytime someone uses the word ‘best’ it comes down to a matter of opinion. I’m going to attempt to support my opinion with information and experience. You can either watch the video or skip to underneath the video to read more. I had always been a little annoyed that my gums would bleed during dental cleanings. But, I thought it was normal and no one told me otherwise for years! Then one day the hygienist and dentist decided that I would need what was called a SRP treatment or Scaling And Root Planing. This was a shocker for me because no one explained that I was in any real danger. Nor had that dental office spent any time educating me about gum disease, which I finally figured out was the problem. No previous diagnosis of this from my dentist. I wasn’t given information at all in the past, except that I should think about ‘using mouthwash’ in addition to regular brushing. The worst part of all, they wanted to do the SRP that day! Right away, I didn’t have time to think it over. I don’t like being pushed, which is what it felt like. I decided to say: “No”. After all, I could always have it done later if it was necessary. I started doing my research and I began to understand a lot more about gum disease. Did you know that about 75% of people have some right now? As in my experience, most people have no clue that they have this problem. They won’t know until it is time for expensive dental work to be performed. Or, when they lose a tooth. I continued looking for solutions and tried some things like essential oils, oil pulling, Vitamin C and Co-Enzyme Q-10, but nothing was really having an impact. In fact, it seemd that some things may have made it worse. Then one day I read about the Hydro Floss with its magnetic technology. It frankly sounded a bit strange to me at the time. But, I figured I needed to do something, because that Scaling and Root Planing is nothing that I wanted to experience. I used the Hydro Floss ‘religiously’ (more than I actually needed to as I later found out) for five months! When I went back to the same dentist she looked at my mouth and I could see the look of amazement on her face as well as that of the hygienist. The first was in May of 1993 and the second was in April of 1998. The second researcher, I have been told, intended to prove the first set of results wrong. To her surprise, she actually obtained slightly better results than the first study. What were those results? Simple, they showed that the Hydro Floss was about (not exactly) 50% better at reducing tartar and plaque build up between office visits than irrigators tested without the magnetic technology. Tartar and plaque are where gum disease really gets its strength. In scientific research a figure like 45 or 50% is considered “statistically significant”. That basically means it is outside the range where you might suspect the results were ‘accidental’ or perhaps ‘not meaningful’. These two studies were both published in the professional journal of periodontists mentioned above.